we also welcom oem and odm orders .whether selecting products from our catalog or seeking new. our experiwncws staff members are always available to discuss your requirments and ensure full customer satification . we are not only sale products,also made products at home and abroad. our qulity is guaranteed ,because we check them by our qc. our company register in jinhua city, zhejiang. 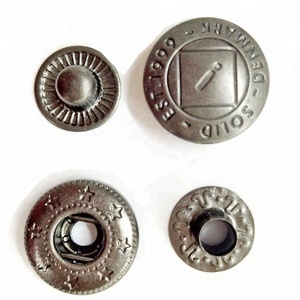 * we are professtional manufacturer and supplier about metal garment accessories . welcome clientsupplied designs and oem high quality, reasonable price , prompt delivery and good service. 2.Custom design: If you have your own design,we will make approved samples based on your artwork or original sample. 4. What color can i use9 Pantone colors as well as the common 4 color (CMYK) process ,any color is available. If you are very urgent to get the quotation, please call us or tell us in your mail, so that we could regart your inquiry priority. WELCOME! 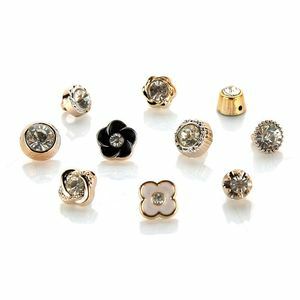 2015 New Design Crystal Button/Bulk Rhinestone Button 1. Product Attributes Material: Brass Metal Color: Silver, Gold Rhinestone Color : Crystal, Red, Yellow, Hot pink. Express including DHL, UPS, EMS, TNT, FEDEX. Production Showing Catalogue Thank you! The Guoqing Temple became the home of the Buddhist Tiantai Sect. Q: What' s the delivery time9 A: For stock items, goods will be sent within 1-3 days. Our client We treat each customer sincerely and look forward to using our best service to win your trust. 5 YRS Guangzhou Jinda Garment Accessories Co., Ltd. Specifications Fashion metal rhinestone button 1) High quality material 2) Good Looking and good touching 3) Fashionable style, fast delivery -Size:any size is available -Material:metal(brass,alloy,iron and other material is available) -Logos:according to customer's design -Custom-made designs are acceptable -Logo shown here is only for reference Color Chart : Color Chart : Package & Shipping : Other Hot Sell Design : Rhinestone Pendant : For more detail informations ,pls kindly feel free contact us ! Thank you ~! 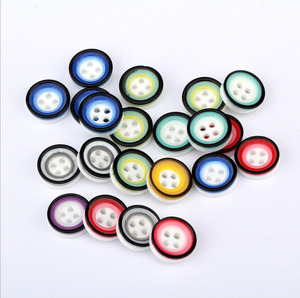 Alibaba.com offers 14,380 bulk buttons products. About 11% of these are buttons, 1% are push button switches, and 1% are pin. 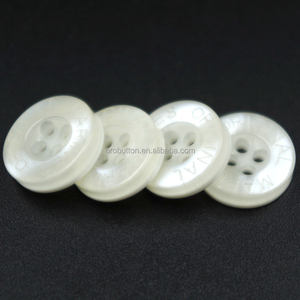 A wide variety of bulk buttons options are available to you, such as dry cleaning, eco-friendly, and washable. You can also choose from metal, plastic, and resin. As well as from snap button, 2-holes button, and 4-holes button. And whether bulk buttons is round, diamond, or oval. There are 14,380 bulk buttons suppliers, mainly located in Asia. The top supplying country is China (Mainland), which supply 100% of bulk buttons respectively. Bulk buttons products are most popular in North America, Western Europe, and Eastern Europe. You can ensure product safety by selecting from certified suppliers, including 1,896 with ISO9001, 1,156 with Other, and 298 with BSCI certification.